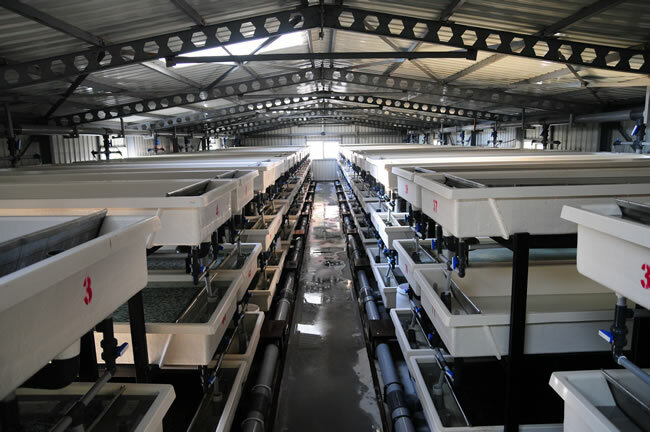 Most of our company's production of baby trout and eggs takes place at our Söğütlüdere and Çukurcagöz sites where we use the latest incubation cabinets and lighting, and production can thus be achieved 12 months of the year. In partnership with Muğla University Water Products Faculty we have begun work on the discrete production of female and sterile eggs. In light of recent developments in the company we shall shortly be employing expert staff as follows: 4 engineers, 1 consultant and 35 other personnel. 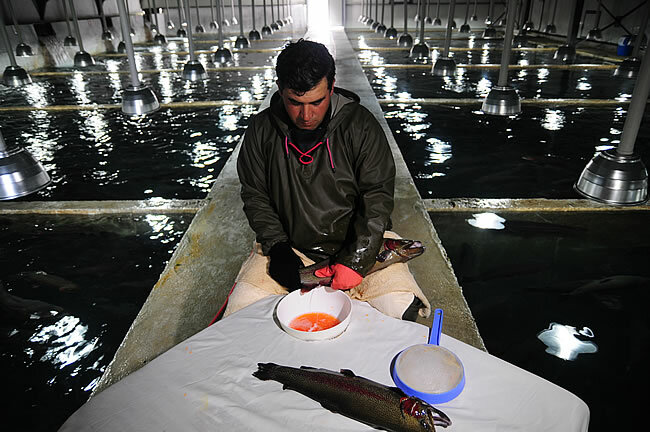 All will make a commitment to the Önder Trout aims and objectives, and will work to ensure our production meets EU norms for quality and health. At the same time, and to further ensure the continued high quality of our products, we are working with several universities to investigate how new technology may be utilised to produce healthier, stronger products. We provide samples of the water we use and the fish we have raised for periodic analysis. The trout we raise are members of the Salmonidae family. 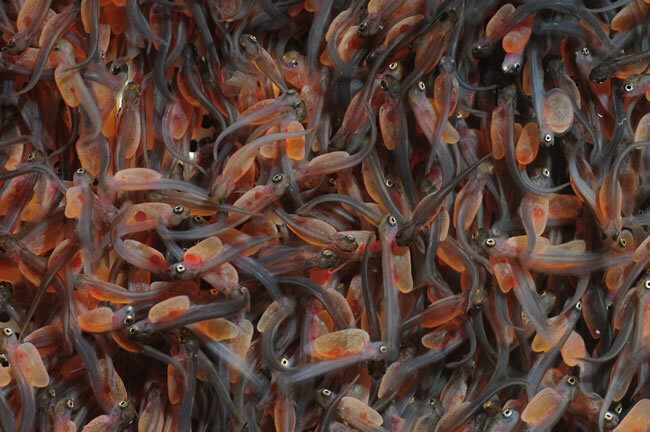 To avoid a multiplicity of varieties of fish, we mainly produce rainbow trout which originate in North America. • This variety thrives in the given environment. • It can withstand hot weather. • It is easy to feed and thrives on the feed giving good growth results. • Compared to other varieties of trout it has a shorter incubation period. 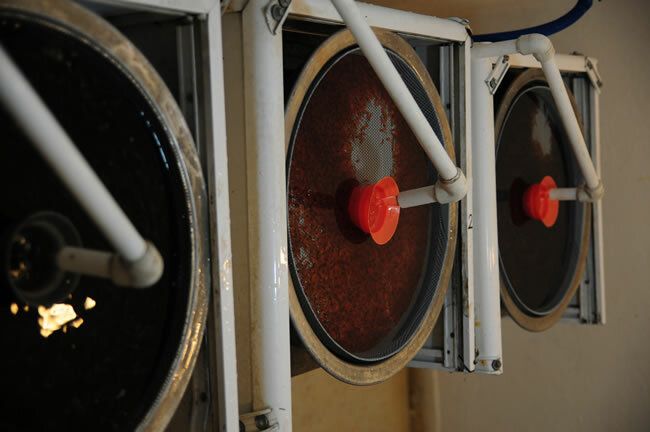 At Önder trout's Söğütlüdere and Çukurcagöz sites eggs and hatchlings are raised in accordance with scientific principles, with great care taken in the context of environmental health and pollution, and wherever possibly with the utilisation of modern technology. 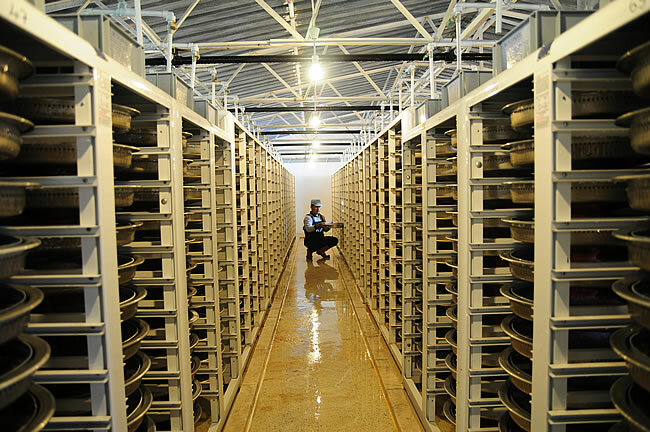 The water sources we use are ideal for egg production and this, combined with scientific methodology and high standards of care, enables us to produce eggs and hatchlings all 12 months of the year. “The ideal environment for trout rearing, to ensure strong healthy fish, is one in which the water used is of a consistently high quality. At the same time great attention must be paid to the relationship between the quality and the quantity of water available. There is no doubt that even greater attention must be given to the quality of the water used in the incubation cabinets, where fertilised eggs are hatched. For the trout eggs and the newly hatched fish, the water must be as absolutely pure as possible. All of the above factors are taken into account on Önder Trout's sites fed by natural water sources. 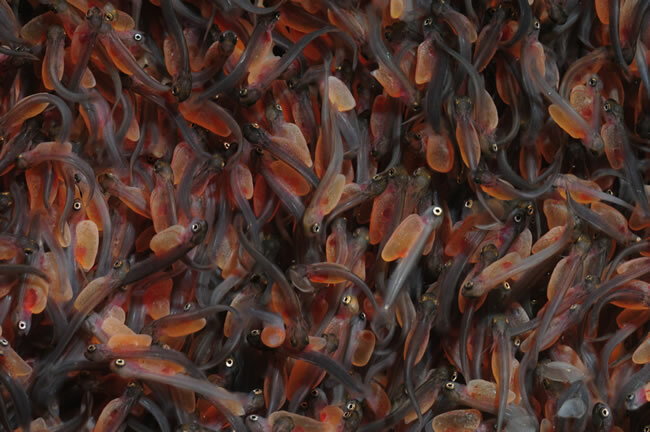 Hence we are able to produce around 100 million trout per year. 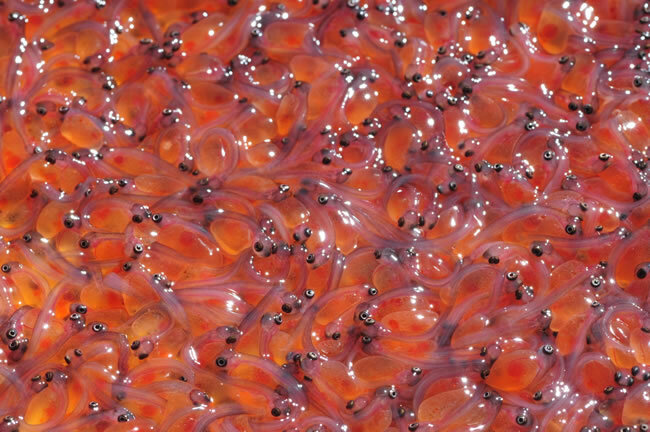 This breaks down into 60 million baby trout and 40 million trout eggs, all of which are eventually sold. The females we use for egg provision are specially chosen and reared. They are chosen by their size and amount of food consumed, by their resistance to disease, by their body shape, and from data held on their egg production. 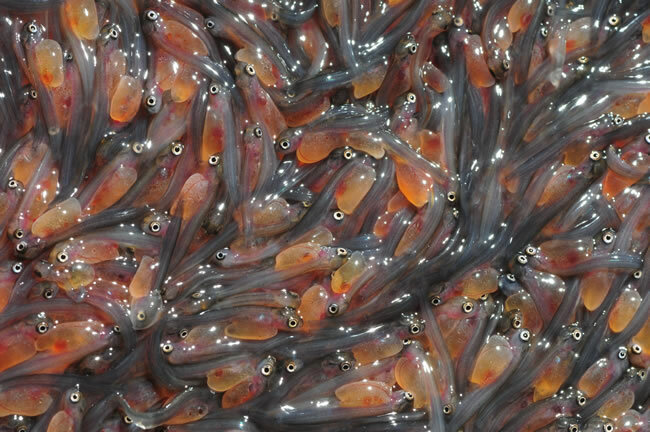 In fish production both eggs from the female and sperm from the male can be obtained by lightly massaging the fish by hand, this is called 'milking'. 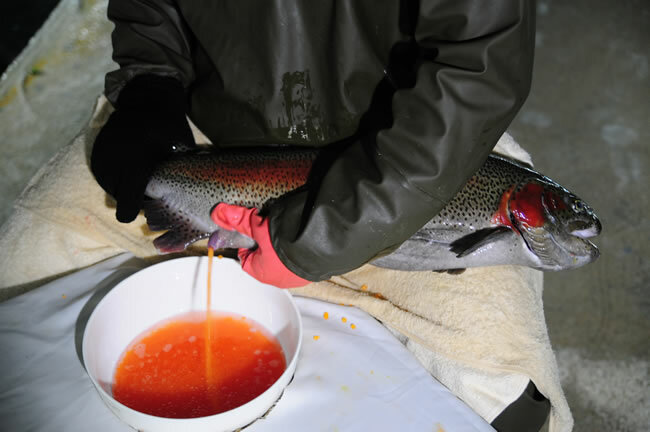 The vital rule for milking within trout production is that it be carried out in dry conditions. This is because in water the entrance to the egg which the sperm must use, will close in 1 -2 minutes. 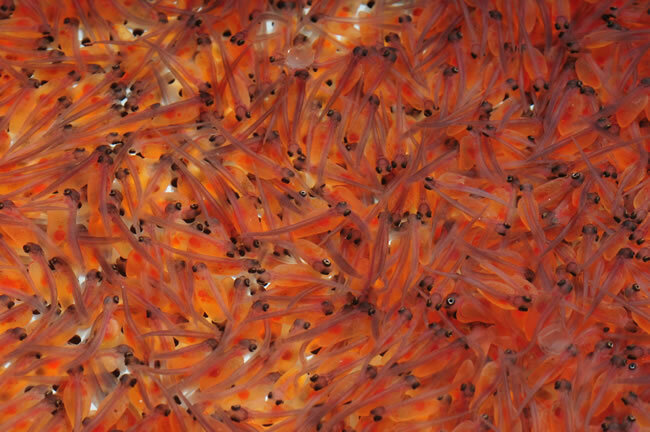 Sperm taken from male fish in water can only live for up to 1 minute. 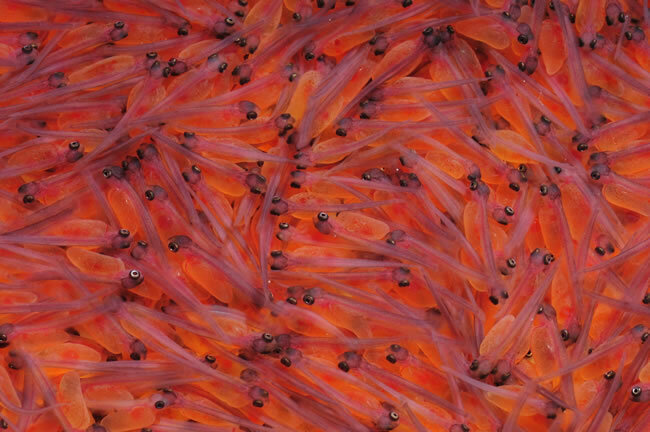 For this reason female fish are dried with a cloth prior to egg removal. And, of course, trout must be milked at the correct time. 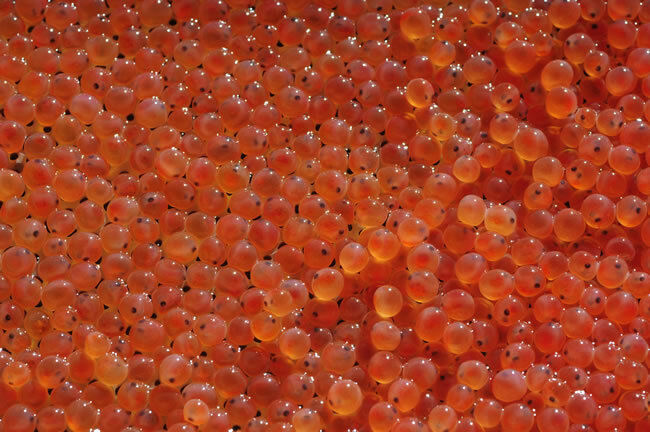 For rainbow trout eggs to hatch in incubators the water temperature must be 7-10oC. This is possible 12 months of the year at all Önder Trout sites.